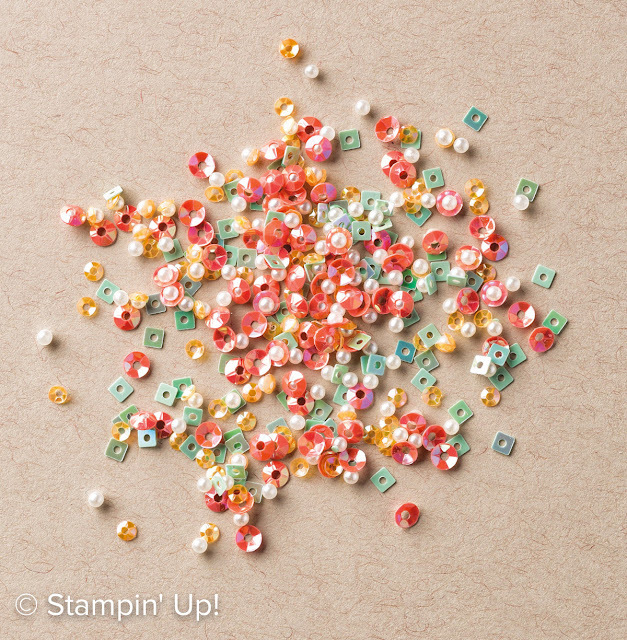 I'm really loving these Sprinkles Embellishments! I love the colour of them and the shape of them, they're perfect for all your Spring and Summer projects. They're perfect for shaker cards, or for adding a touch of dimension and depth to your projects. They cost £5.00 and there are approximately 950 pieces. They're perfect for topping a stamped image.